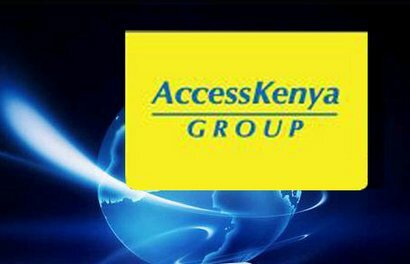 Access Kenya, one of the country’s leading internet solutions and data services providers, revealed the introduction of a new, more secure, authentication system designed to protect their customers. After hearing the news, Rwandan hackers took a crack at the company’s website and demonstrated that additional work still needed to be done in the security sector. “Internet security remains of paramount importance and for us as the market leader in Internet Services, protecting our customers using practical solutions remains our core business,” AccessKenya Managing Director Kris Senanu said at the inauguration of the new email authentication system. Over the weekend we will publish an interview we’ve had with one of the members of the Rwandan Hackers crew. Those interested in learning more about the team, their ways, and their objectives should check out the upcoming article, part of the Hackers around the world series. Rwandan Hackers didn’t want to cause any damage to the company’s systems. They simply wanted to prove their point. “Why we have hacked their system? It is to prove that their new system is vulnerable,” the hackers stated. A Pastebin document they made shows the breached server’s details, along with some information which demonstrates that they've gained access to tables that contain user credentials. The data leak doesn’t contain large amounts of sensitive information, but there is one thing that could allow an ill-intended attacker to cause some serious damage: the administrator’s user name and password. Due to security reasons, we will not post a link to the file. However, we’ll give you a hint. The admin’s password is a “classic.” It’s one password that experts would tell you to never ever use to protect your account.